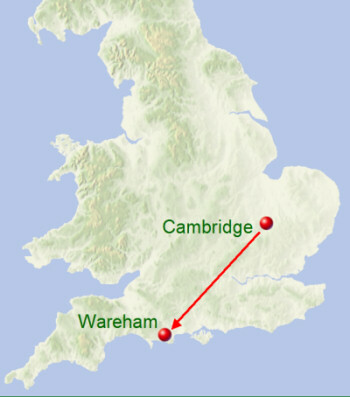 And this year the army stole into Wareham, a fort of the West-Saxons. The king afterwards made peace with them; and they gave him as hostages those who were worthiest in the army; and swore with oaths on the holy bracelet, which they would not before to any nation, that they would readily go out of his kingdom. Then, under colour of this, their cavalry stole by night into Exeter. The same year Healfden divided the land of the Northumbrians; so that they became afterwards there harrowers and ploughers.